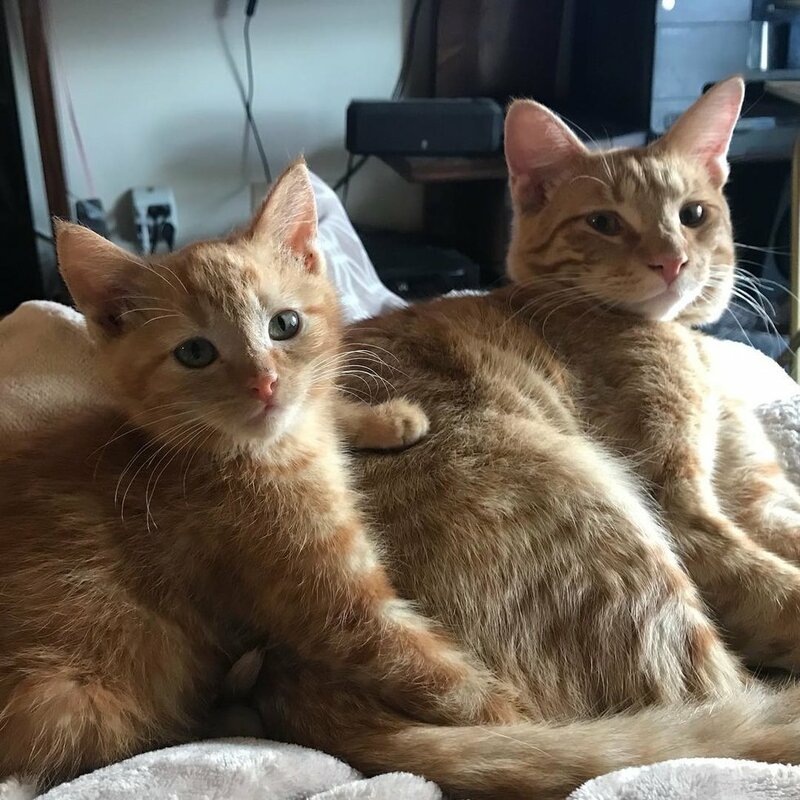 Leo the cat was thrust into the role of a father when four little kittens were brought into his home, in need of love. Three months ago, a cat mother and her kittens were spotted at a mobile home in Oregon. They had been living on the roof for quite some time. Krissy, who works at a local veterinary clinic, went to trap the feline family and get them the help they needed. After many hours of waiting, the feline family of five were safely trapped and transported to the vet. 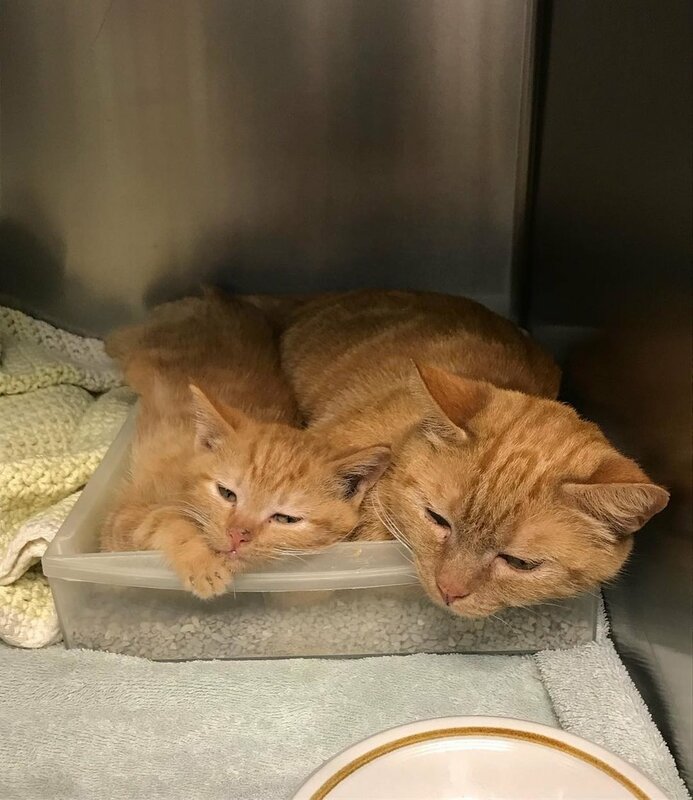 They discovered something fluid-filled inside the cat mom’s belly and admitted her so she could get the medical attention she needed. 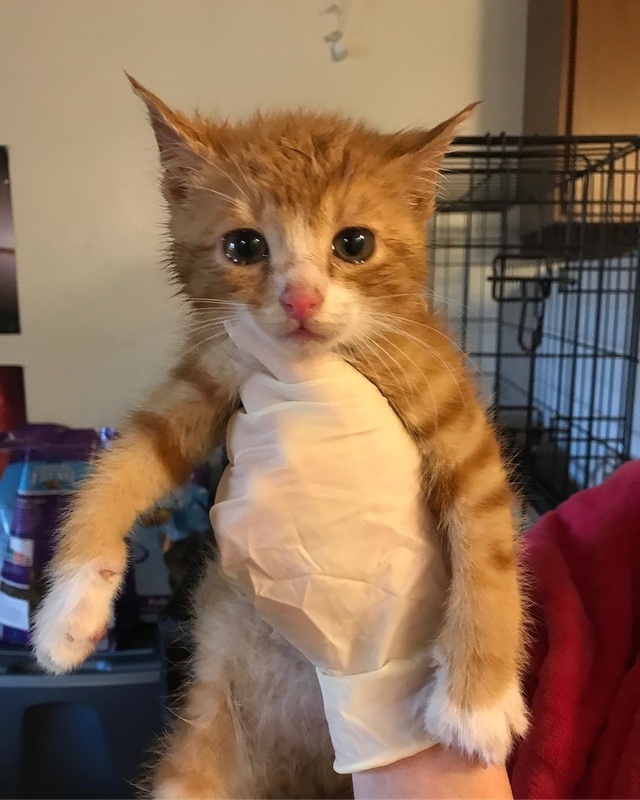 “We wanted to make sure she stopped producing milk so her mammary glands would shrink in case we had to do an emergency surgery on her,” Krissy told Love Meow. While the mama cat named Noodle was being cared for by the veterinary staff, the kittens went to their foster home with Krissy. The kittens were very shy and timid so Krissy and her boyfriend took turns to give them cuddles. 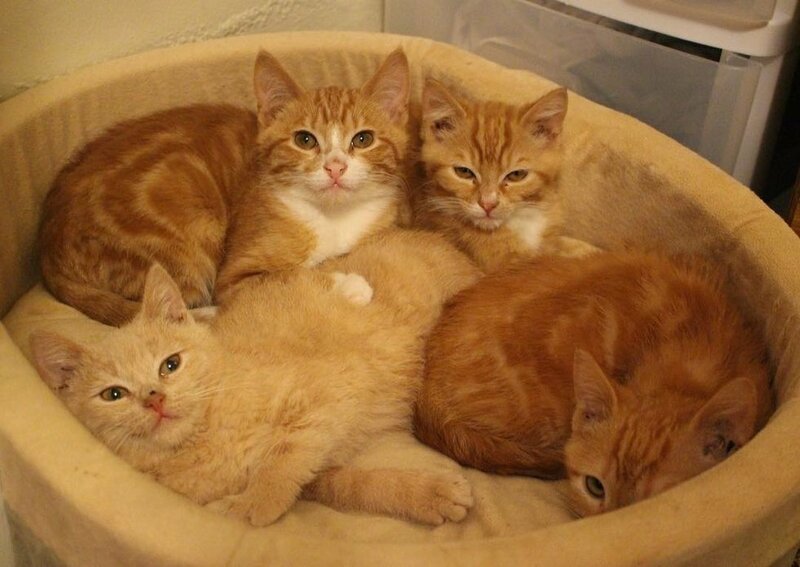 When Leo met the kittens, he immediately took to them and offered them a shoulder to lean on. 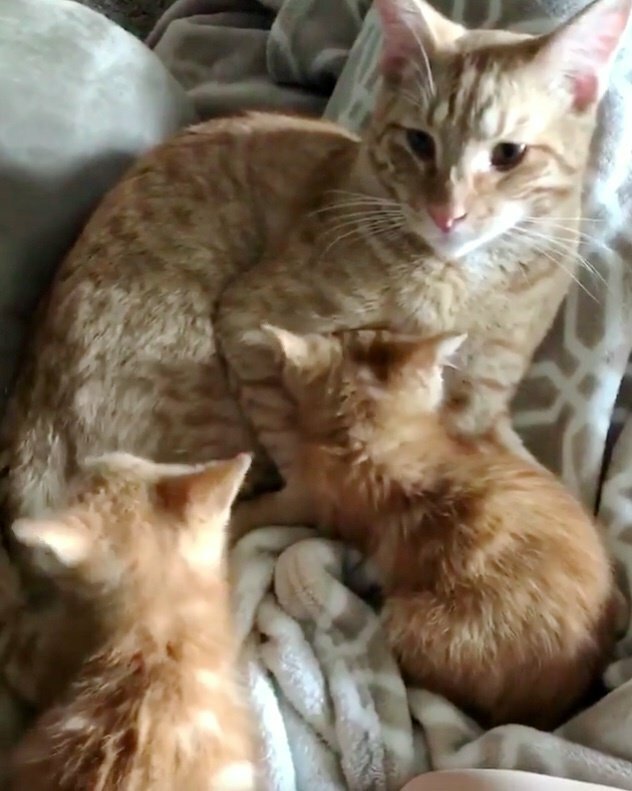 He greeted the kittens with a few nose kisses and purred up a storm to calm and comfort them. 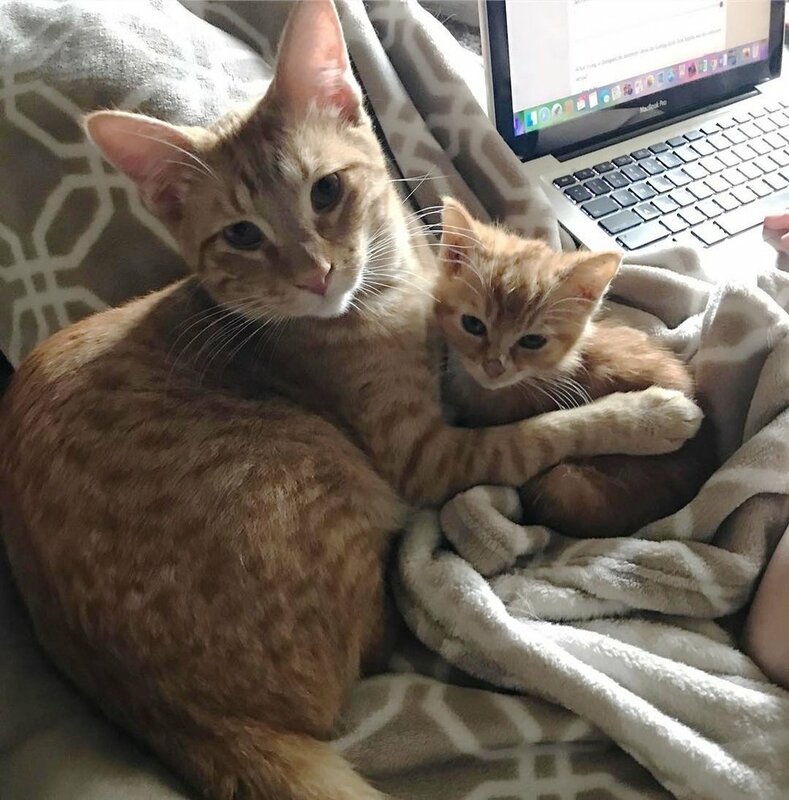 “He’s the nicest kitty ever, and they seemed to think he was their mom. When we had them on our lap to socialize, Leo came up and groomed them. He also played with them through the playpen they were in,” Krissy added. Roni was the shyest kitty so Leo offered him some extra TLC. As he wrapped his arms around him, the two began to purr in perfect harmony. Leo kept the feline babies clean by grooming them daily. 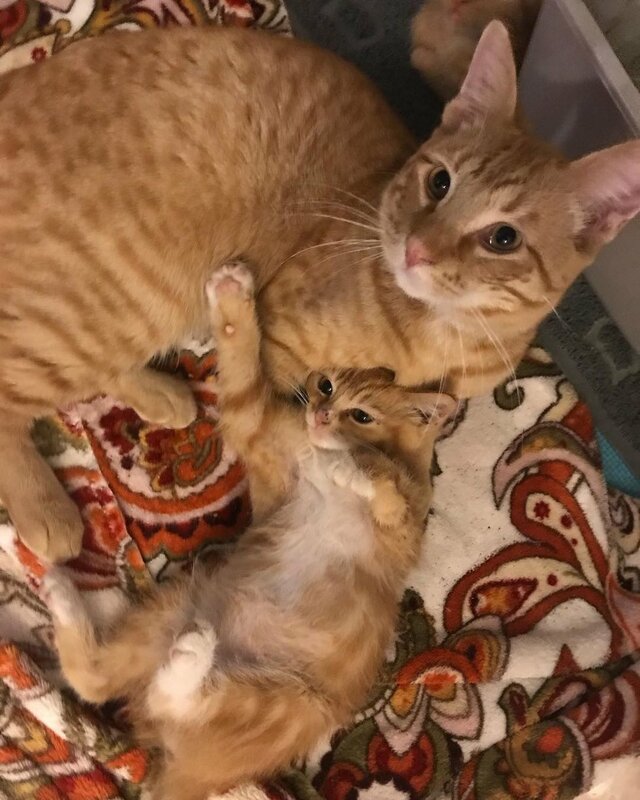 Tini loved snuggling with his surrogate dad. With help from Leo, the four siblings overcame their fear and gained confidence and trust. Just like them, Leo is also a rescue, who was found in a feral colony. Now he helps foster all the kittens that come through the door. 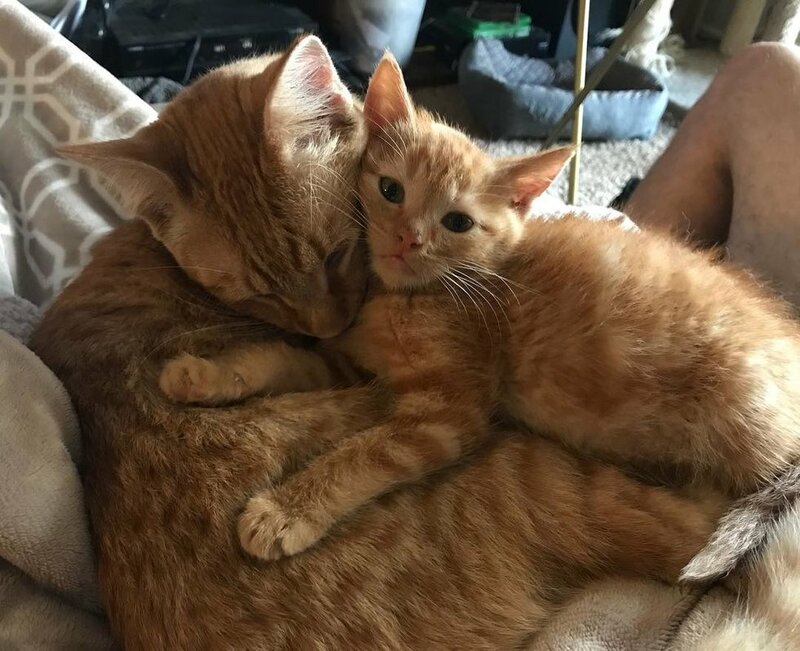 Two months after they were rescued, Mama Noodle had made a full recovery, and all five kitties found their forever loving homes.